During 2016 TBI is offering a series of practical gardening sessions which we hope will be of interest and use to both those new to growing and the more experienced. Full details are given in the programme, which you can download and keep for reference. Three very successful days were held in July, when TBI members opened their gardens to others. Members also enjoyed an Open Gardens day organised by the gardeners of Cromarty, when over twenty gardens were opened to the public. For those who missed them, reports of all these events ate available on a separate page. This very interesting and informative event was held on Saturday 20 August at Resolis community orchard. See Wendy's report. Training notes from the 3 September session "Preparing for winter – preserving and storing the harvest, and winter crops" are available - by Julie and Clive on fermenting, and a more general note on preserving, with recipes. On a beautiful sunny autumn day there was a good attendance at Resolis, where Alistair Grieve from Cromarty again gave us the benefit of his experience and expertise in all aspects of fruit growing. The session started in the hall, where Alistair gave advice on planting and caring for fruit trees and answered questions from the group, and then moved to the orchard for practical advice and demonstration on pruning, where we all realised that seeing an expert at work is worth any number of handbooks and illustrations. Thank you, Alistair. Meanwhile the apple press was working away in the background, ably manned by Gordon and Paul. Its next public appearance will be at Kessock Market on 29 October. Venue : Glachbeg Croft, see this link for directions Glachbeg Croft | Location . It's down the road (and on other side) from Munlochy Animal Aid. 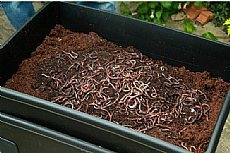 As a follow-up to the fifth session on Pests and diseases at Fearniewell on 4 June, Toni has forwarded an email from 'The Big Bug Hunt' - "Is your garden a plant health hazard?". (As this does not have a 'View in your browser' option, it will be opened by your normal email program, and you may have to allow images or enlarge the window to view it effectively). The email tells you how to recognise and guard against common insect pests. report any unusual bugs you find, and sign up to receive regular newsletters. You could also try this link for a website full of useful information about all aspects of vegetable growing - www.growveg.co.uk. Here's a new guidance note with Toni and Agric's recommendations for some suitable vegetable varieties for the Black Isle. 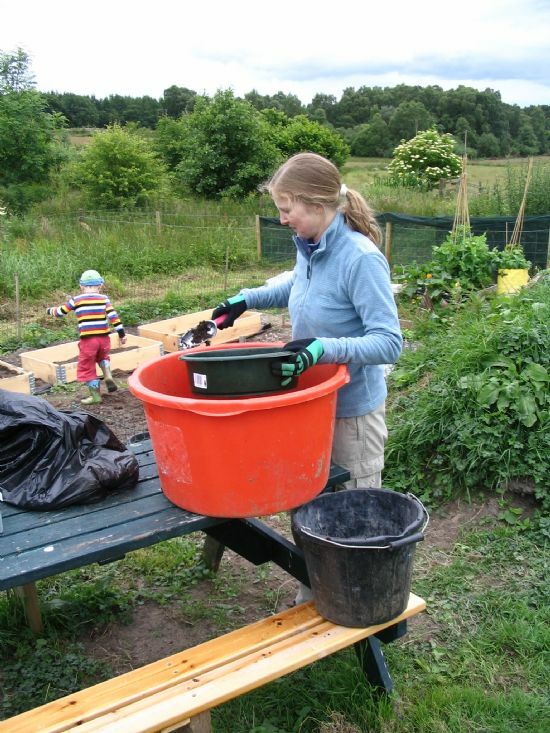 Everything that you wanted to know about growing fruit and vegetables in these northern climes has been brought together in a bumper folder of tips and recommendations by Sheila Wickens, capable leader of the Grow North sessions for Transition Black Isle. The new edition has been produced in a handy pocket-sized spiral bound format and includes Agric's new seed saving chapter full of carefully researched details of how to save money and carbon emissions by keeping your seeds. The growing guides are for sale at community markets for £10 members; £12 non members; £15 organisations or email food@transitionblackisle.org or ring 01381 600269. The 2012 Grow North Growing Guide is now also available online - you can click the link to go to the full document, or navigate to Resources / Document Library / Grow North to find individual sections as separate files for easy downloading. You might need to download Acrobat Reader (free) to open the files. But we think you can't beat the new handy pocket sized printed version! 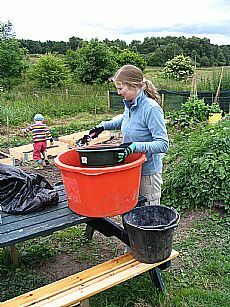 The practical and fact-filled Grow North programme run a couple of years ago proved hugely popular with Black Isle residents wanting to find out more about growing their own fruit and vegetables. Expert gardener Sheila Wickens, and her team of specialist tutors, delivered a series of monthly sessions of half and full-day training at Muir of Ord, Culbokie and Fortrose . Plenty of advice and help is available in books, on websites and on seed packets, however much of this is geared towards gardeners in the south of England or central belt of Scotland. Here in the Highlands the growing season is not the same, and gardeners face different challenges to those of their counterparts further south. 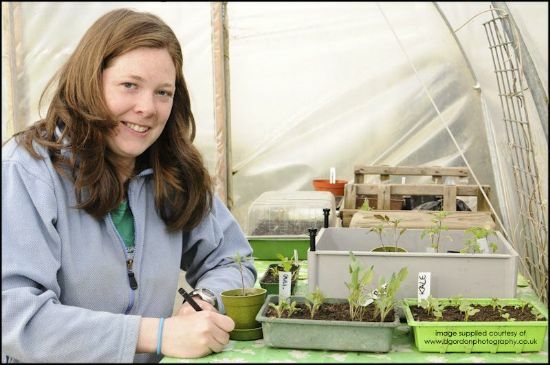 Grow North will help you make the most of the growing season and conditions we have here on the Black Isle. Notes on each session on topics such as watering, feeding, seasonal tasks are available here. As we all know there’s been a massive surge in the popularity of growing your own food. Across the country people are getting to grips with gardens and allotments. 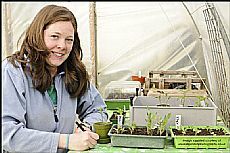 Garden centres are reporting exceptional growth in sales of seeds, plants, tools and even chickens. Enjoy yourself - and help the planet too! The media often portrays this phenomenon as a 'fad' and talk of a return to 'Good Life'. Dig deeper though, and it becomes clear the reasons for growing your own food are much more fundamental than fashion. Transporting food hundreds of thousands of miles to our plates by plane, ship and lorry is the source of vast quantities of greenhouse gas emissions. A large proportion of the energy used in bringing our meals to our plates is burned transporting food. In a world of dwindling energy resources this is crazy. Food grown produced closer to home is fresher, often with much better flavour, and the satisfaction of having your own delicious produce at the back door, is second to none. Digging the garden and working in green spaces is not only good exercise, it's good for your mental health too. A recent study by researchers at the University of Essex found working in green spaces brings rapid improvements in mood and self esteem, particularly among young people. Lots of reasons then to get growing!